Elon Musk is rampaging into the future with yet another astronomically awesome plan. The mastermind behind SpaceX, Tesla, and the Hyperloop doesn't just want folks to comfortably travel to space - he wants to make sure they're easily connected to the internet while they're up there. It might sound crazy to think that the humans who will be among the first "space tourists" would spend their time googling cat videos and playing online poker, but Musk's plans are extra ambitious. 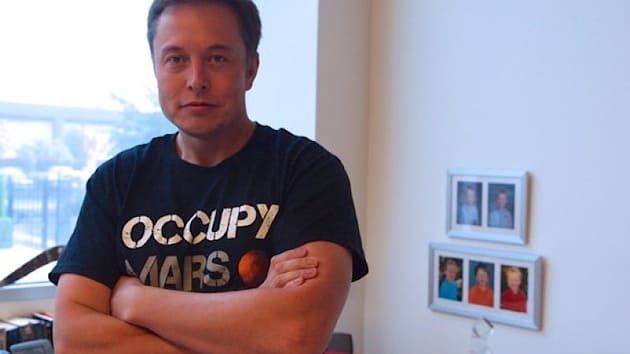 His intent is to establish a space internet so powerful that when colonizing Mars becomes a reality, the pioneers will be able to chat about it on Facebook. Now THIS is an occupation that will achieve something! According to Bloomberg Business Week, this new and improved World Wide Web would become the Galaxy Wide Web thanks to a fleet of low-flying satellites Musk intends to launch. 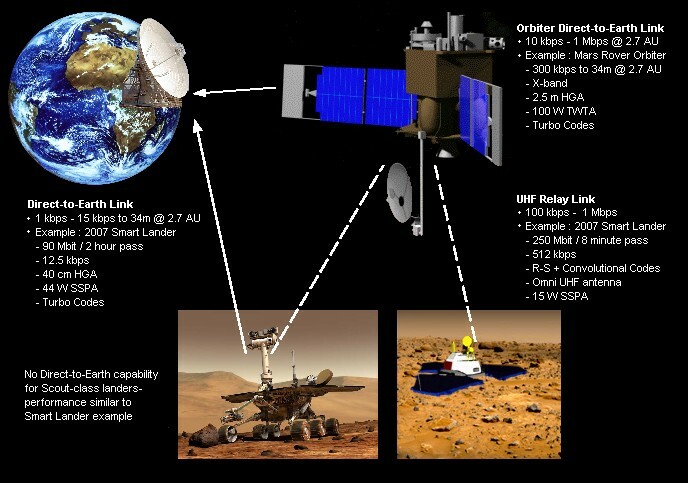 While it would not only aid future connectivity to space travelers, it would serve the immediate purpose of expanding internet speed and coverage all around our home planet. “Our focus is on creating a global communications system that would be larger than anything that has been talked about to date,” Musk stated. 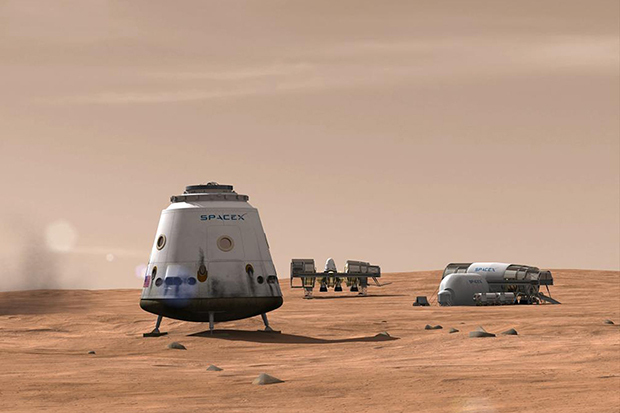 The first humans will be "checking in" on Mars sooner than we think. The satellites would orbit some 750 miles above the earth, where the vacuum of space would facilitate faster flow of data - even more so than using fiber-optic cables on Earth. With the speed of light operating a full 40% faster in the vacuum of space, bouncing data off of Musk's satellites and then back to earth would improve speeds considerably. Musk is aware that his competitors have the bandwidth territory, but he holds the ace of rocket technology. He intends to open a satellite factory in Seattle that will draw engineering talent of all sorts (SpaceX projects will also be in fabrication there), and has a long-term plan over the next five years to bring the initiative to fruition. The exclusive opening of the Seattle SpaceX office took place on Friday, adding to an ever-increasing network of operational sites. He is completely serious about looking even further than that, though. In space, no one can hear you scream at Candy Crush. So at least if you end up marooned on Mars, there'll be Netflix and Pandora there to entertain you. And no one will fault you for not accepting their Facebook invites. Which Instagram filter will look best for selfies on the Red Planet?